** Ships UPS Ground Only. Grassy green notes with lemon-like aroma. Similar to citronella. 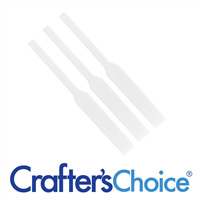 Crafter’s Choice Essential Oils are concentrated, pure and undiluted. They have not been fragrance enhanced. You will want to add to formula as directed following the IFRA document guideline for maximum usage. COMMENTS: Strong scent right out of the bottle, used it in CP soap which has now been curing in my laundry room for about 3 weeks. I can still smell the scent which hasn't faded too much. I did add about a teaspoon of arrowroot powder to the EO and mixed it up just before adding at trace. I am super glad I grabbed this. I am going to try mixing it with a cucumber note I've purchased from another vendor and see how the blend smells. This did not accelerate trace at all. "Lemon Eucalyptus EO - Certified 100% Pure 598"
COMMENTS: Used this in my deodorant and loved it. COMMENTS: Used this in a custom blend bug spray and it worked seamlessly while camping in an area swarming with bugs. High quality and will buy again for next summer. COMMENTS: Slightly strong on the eucalyptus smell. COMMENTS: I actually have had this plant in real life in the past and the scent is exactly the same as this EO. I like it because although it is citrusy it also has depth and I'm excited about experimenting with it in products that I already make and new ones that I am considering on making in the future. COMMENTS: I got this based on all the positive reviews. It smells like bug spray. Too much Citranella scent. Don't like this at all. COMMENTS: I'll need to purchase more of this to make soap and body butters will be nice scent for the winter months to uplift your spirit. Love it! COMMENTS: This doesn't have a medicinal scent like some eucalyptus eo's do. Works great. Big hit. COMMENTS: Perfect combo of EO's. I use this mainly in shower melts and they are a great seller. The fragrance is clean and natural and everyone seems to love it. The price is great and I make sure I always have some on hand. COMMENTS: I use this essential oil blend more than any other fragrance or essential oil I have ever purchased. 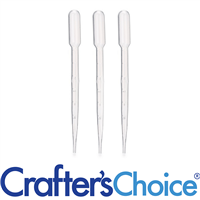 The price is excellent and the product is amazing. I would buy buckets of this stuff if I could. Customers LOVE IT. COMMENTS: Fresh clean scent citrus is by far my favorite scent and to have it blended with eucalyptus is the perfect blend. COMMENTS: Smells very much like citronella. Plan on using it in hotprocess soap. Very pleased with the scent. "Love the oil - great for repelling mosquitoes"
COMMENTS: This oil came in a kit a purchased. Works really well. Will purchase again. COMMENTS: I have used this EO couple of time. My buyers love the fragrance and it flies off the shelves. This is a great summer scent or in the winter when your eagerly awaiting summer. This is a great EO. "Seems to help keep so bugs away"
COMMENTS: Used it in cold process soap. It has a clean and refreshing scent. COMMENTS: I made a bug spray with this and a variety of other essential oils. It is, by far, the best bug spray I've ever used. The bugs just disappear. COMMENTS: This product is great for making bug spray. 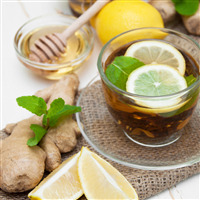 Lemon Eucalyptus and soybean oil make an effective mosquito repellent. COMMENTS: This is a VERY STRONG EO. I used it in a salt bar mixed with lavenden. You can't smell the lavenden at all. The bar smells great though, and it's my husband's favorite. No acceleration that I noticed because the salt bar batter was so thick. Holds up strong in CP soap months past cure time. Will reorder. Smells like citronella. "ew! TOO much like citronella!" COMMENTS: This stuff really stinks! Eww! COMMENTS: What a fabulous lemony scent. A little goes a long way in cold process soap and bath fizzies. COMMENTS: We do a lot of camping and I started using this mixed with a little lavender and citronella in CP soap and "bug lotion". Smells fabulous and deters those bugs! COMMENTS: Nice aroma- blended well in all my projects. Especially nice in the pet shampoo base. COMMENTS: works well in cp, scent last in the soap. COMMENTS: This oil is really strong, but I guess that's why it works so well as a mosquito repellent. The jury is still out on how well it repels bugs, but it definitely smells better than Off. COMMENTS: This EO is great for soap! I use it in my natural soap bars!! COMMENTS: This EO is very strong. A little go so very far. Smells very similar to citronella. COMMENTS: I use this in my bug spray (I originally purchased the kit) and it really works, can't keep the bug spray in the store in the summertime! COMMENTS: Smells just like the insect repellent! Works great! COMMENTS: A pretty smelly oil but I use this for a natual spritz on insect repellent. It really works, for people and pets. It is safe and mixes well with an oil for your own chemical free bug free Summer. Works for me!!! • Chemical free insect repellant. COMMENTS: This is a nice blend for mixing or leaving as is. The two oils go great together (Lemon & Eucalyptus) very refreshing scent. COMMENTS: This lemon eucalyptus EO blends beautifully with other essential oils that I use for my bug off CP soaps, lotion sticks, and pump lotions. It is also a great price too! COMMENTS: I have this EO, and it smells like citronella to myself and my customers. I also have your citronella EO, and the first time I made a batch with lemon eucalyptus, I thought I used citronella by mistake. However, I have made 2 batches since, and they all smell the same. "not what I expected !!!! but loved it"
COMMENTS: Okay I didn't like this essential oil. It smells bad by itself, however I loved how it smelled when I blended this essential oil with lavender and Palmarosa essential oil will purchase a bigger bottle next time. COMMENTS: This is the most popular scent in my soap line. While I am not a huge fan of eucalyptus, I will continue to carry this. COMMENTS: I bought this EO based on the reviews...I don't know what everyone else that reviewed this smells, but this was not a hit with me. It's a sickening smell. COMMENTS: I've used this in HP and CP soap and it performs wonderfully. The scent is not overpowering but just strong enough. It's really refreshing and uplifting, my customers love it. COMMENTS: Absolutely love this fragrance. Make perfect blend addition to my products, and priced competitively. 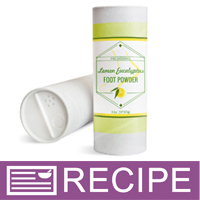 COMMENTS: We used this EO in our first foot powder and are well pleased with the results. The fresh smell is a welcome addition for a foot powder. Will keep this as a year-round scent. "Lemon Eucalyptus is a winner"
COMMENTS: This combination essential oil has brought us very positive feed back from our customers. It seems to satisfy a soothing scent. The fact that is an essential oil always seems to be a plus in our soaps. COMMENTS: This is a wonderful fragrance and my customers think it is wonderful. My favorite part is the affordable. This is a product I will always buy. COMMENTS: This has an expectedly strong smell but is an excellent repellent. COMMENTS: I am disappointed with this purchase - it smells just like Citronella which I already have. A good choice for bug spray or pet products but not soap. I love Eucalyptus, was hoping for a truer lemon & Eucalyptus scent. COMMENTS: This is such a great blend. It smells divine! I use it in a lot of products (soaps, scrubs, oils) and my costumers love it! COMMENTS: I love the aromatic benefits of the Lemon Eucalyptus EO. COMMENTS: This oil is very fresh. It smells very clean. COMMENTS: I used this EO with poppy seed scrub and it was very well received by customers. Will definitely make again. "Really nice lemon eucalyptus scent"
COMMENTS: I use this to add a lemony scent to some of my product line. Most people LOVE it! Will definitely purchase again. COMMENTS: Lemon eucalyptus is an effective bug repellent. I use this essential oil in my bug balm as well as my dog shampoo. Lovely aroma too. COMMENTS: I do like the fragrance of this essential oil. It is a mild lemon fragrance, not too overpowering. I will use this in lotion bars and soaps. I also use this as a cleansing agent for the kitchen. Just a couple drops in hot water and allow to simmer to refresh home air. COMMENTS: I used this in a bug repellent spray, and found it to be a bit too strong. I did not like wearing the scent, but the bugs didn't like it either, so seemed to work okay. However, I am planning to use the rest of the EO in a hand soap with an exfoliant added. I'm optimistic that this will help to illiminate odors from hands of mechanics, gardners, cooks, etc. COMMENTS: I actually bought this to use in my bug spray. While it's not something that I plan to use in anything but that, I think it's worth checking out. COMMENTS: Honestly, I don't like how it smells. It does work well in MP soap, but still. Don't like the smell. I saw some people using this in bug spray. It does seem more appropriate for that. 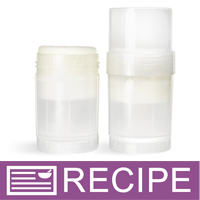 COMMENTS: This is a great essential oil blend for making camping soap, bug sprays, or insect repellant. The lemon is bright and lively while the eucalyptus balances with a strong minty zing. It's a powerful blend, so use accordingly. COMMENTS: Used this in the Do Not Bug Me Spray, added a little lavender! COMMENTS: I love this EO in my body spray, its a natural way to keep the bugs away without all of the chemicals found in store bought bug sprays. I love that you don't feel it on your skin and it really works. "Used in Bug Off lotion bar"
COMMENTS: When I received the box this had actually leaked all over and smelled horrific. I ended up with half of what I ordered. After that smell was in my house almost a week, I was a little hesitant about using it. But when I made some bug repellent with it, it has a nice subtle scent and is just what I was looking for. Strong in the bottle or box when leaking but great in products. • A dropper inside the bottle. COMMENTS: Will use in pet soap bars. "excellent for dont bug me spray"
COMMENTS: Bought to make dont bug me spray, works perfectly. Will buy again. COMMENTS: Smells just like it says! Perfect! Made some soaps with it and I smell so fresh and clean after using! • Bottle, hard to measure out. "Works wonders as a mosquito repellant"
COMMENTS: I bought this because it recently came out that you can use Lemon Eucalyptus EO as a mosquito repellant, and I love how it works! It smells nice and I don't worry about what it on my children's skin. COMMENTS: This is perfect in a natural bug off spray. Not overpowering. COMMENTS: I am on a mission with this EO. Here in North Carolina we have lots of mosquitos and pesky bugs so there is a plan here for the "Don't bug me" spray. I used a similar product several years ago and really liked it but couldn't find it again. I am delighted to be able to make this. I told some customers about this and they are excited and want to try this for the warm weather. The smell does remind me of Citronella. It is something I would use more for aromatherapy or in a product such as the bug repellent. COMMENTS: Mixed this EO blend with apricot kernal oil to create a bug/flea/tick spray. Easier on the senses than citronella. The cat didn't particularly care for being sprayed with it, but it worked well to relocate her fleas. Works equally well as an anti-mosquito spray. COMMENTS: I love ALL of WSPs essential oils because they are certified pure. I went out on a limb and bought this one because I saw a dog spray recipe that called for it. I wasn't really sure what to expect because lemons and eucalyptus smell so different. It smells EXACTLY like lemons...but has the properties of eucalyptus (so I've read). Pretty, uplifting smell of lemons. Great addition to the dog spray...works great on my little min-pin instead of pumping him full of insecticide. I will buy again! COMMENTS: This is by far the best LE EO I have ever purchased! COMMENTS: This EO smells just like a citronella candle. It is very reminiscent of barbecues and summertime outdoor activities. I like the scent even though it's strong and is not everybody's favorite. 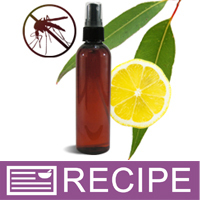 We make it available seasonally in our all natural bug spray- lemon eucalyptus eo is the active ingredient. It sells well and is extremely easy to work with. Very good if you are looking for something new (& easy) to add to your product line. 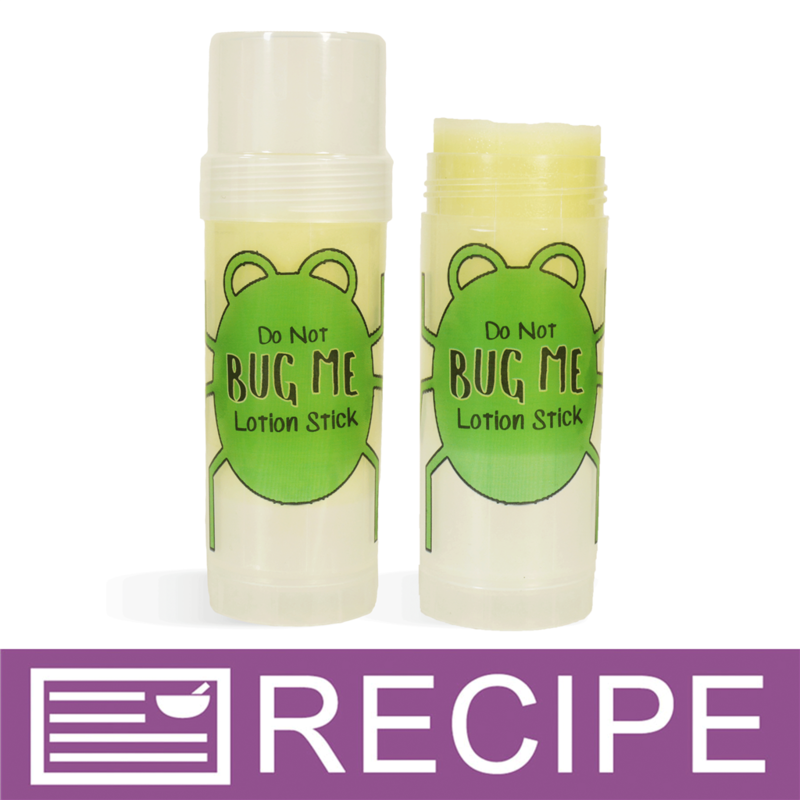 "Great in "Don't Bug me" spray"
COMMENTS: this blend works so well in your recipe for "Don't bug me " spray, I don't know what I would do without it. We are mosquito heaven here in northern Michigan, so anything that works to keep those nasty critters away is amazing. My customers love that they are not using any chemicals. COMMENTS: Great smell and it works perfectly as a bug spray. I smells very similar to citronella. COMMENTS: Used in candles & sprays to keep pests away for over 2 years now. Wonderful natural herbal product! Strong smell, I ususally blend with other EO's like lavender, etc for a more pleasant nose. "Can this Lemon Eucalyptus EO be used in a pet spritz? IF yes, what is a safe amount?" Staff Answer This essential oil is safe for pets at 2.5%. "How does this differ from the pure 140? " 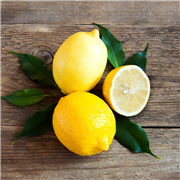 Staff Answer Lemon EO #140 is strictly lemon essential oil. This blend is both lemon and eucalyptus essential giving this a lemony camphorous scent. "On the percentage conversion chart, it says oz of base/ Lb of base. Is that the volume of the batch you are making? " Staff Answer It is the weight of the product you are making without fragrance added. "The lemon&Eucalyptus EO blend seems to be good for bugs, but is the lemon dangerous because of photosensitive in the sun? Also what is the best percentage to use with FCO for an effective bug spray?" Staff Answer This is not a blend. The eucalyptus citriodora oil comes from a lemon scented eucalyptus plant and the oil is not dangerous to the skin at the IFRA rates. You can follow our Don't Bug Me Spray Body Spray recipe and substitute the Soybean Oil for your desired Fractionated Coconut Oil. "I am new to EO usage. 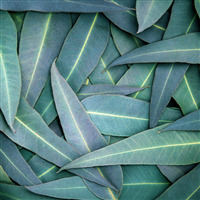 I am ordering Lemon Eucalyptus because it is versatile. When the Max Use Level is cited as a Percentage how do I translate that % to the number of drops to be used? For Example, the fact sheet states that for Hand Sanitizers the Max Usage Level is 5%. How do I interpret that 5% into number of drops to be used for that or any other application? " "You list lemon Eucalyptus E.O as safe for lips, but on the IFRA certificate it list 0% as max usage. I'm a little confused, could you clarify this for me. I always use the info as I want to fragrance at a safe level." The IFRA Certificate should always be followed first. If IFRA has listed a 0.0% usage rate, then no, this EO is not OK for Lip applications. I would be nervous adding any citrus essential oil to lips unless they are berpetene free due to the increase of photosensitivity citrus essential oils cause. It may increase the risk of sunburn. Also Eucalyptus is not safe to eat from my research, so again I'd be hesitate to use on lips.